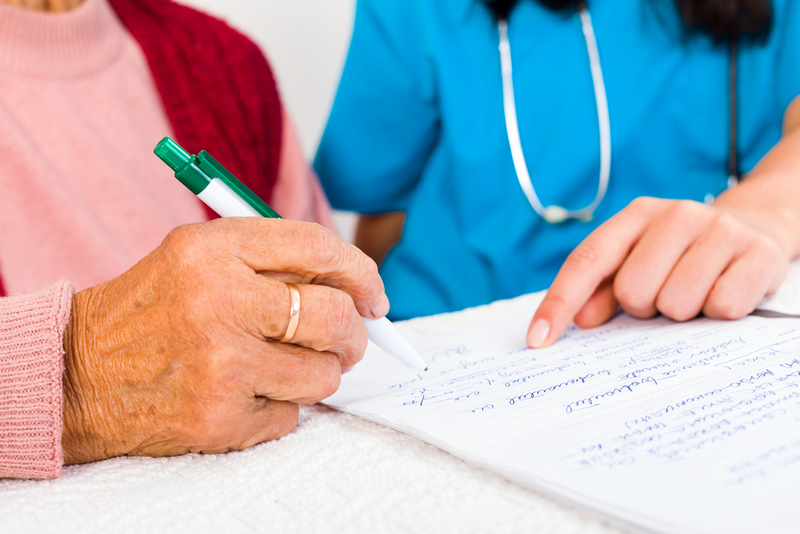 When Can an Adult Child Be Liable for a Parent's Nursing Home Bill? While a nursing home cannot require a child to be personally liable for their parent's nursing home bill, there are circumstances in which children can end up having to pay. This is a major reason why it is important to read any admission agreements carefully before signing. Federal regulations prevent a nursing home from requiring a third-party to be personally liable as a condition of admission. However, children of nursing home residents often sign the nursing home admission agreement as the “responsible party.” This is a confusing term and it isn't always clear from the contract what it means. Typically, the responsible party is agreeing to do everything in his or her power to make sure that the resident pays the nursing home from the resident's funds. If the resident runs out of funds, the responsible party may be required to apply for Medicaid on the resident's behalf. If the responsible party doesn't follow through on applying for Medicaid or provide the state with all the information needed to determine Medicaid eligibility, the nursing home may sue the responsible party for breach of contract. In addition, if a responsible party misuses a resident's funds instead of paying the resident's bill, the nursing home may also sue the responsible party. In both these circumstances, the responsible party may end up having to pay the nursing home out of his or her own funds. In a case in New York, a son signed an admission agreement for his mother as the responsible party. After the mother died, the nursing home sued the son for breach of contract, arguing that he failed to apply for Medicaid or use his mother's money to pay the nursing home and that he fraudulently transferred her money to himself. The court ruled that the son could be liable for breach of contract even though the admission agreement did not require the son to use his own funds to pay the nursing home. (Jewish Home Lifecare v. Ast, N.Y. Sup. Ct., New York Cty., No. 161001/14, July 17,2015). Although it is against the law to require a child to sign an admission agreement as the person who guarantees payment, it is important to read the contract carefully because some nursing homes still have language in their contracts that violates the regulations. If possible, consult with an attorney before signing an admission agreement. To find an attorney near you, click here. Another way children may be liable for a nursing home bill is through filial responsibility laws. These laws obligate adult children to provide necessities like food, clothing, housing, and medical attention for their indigent parents. Filial responsibility laws have been rarely enforced, but as it has become more difficult to qualify for Medicaid, states are more likely to use them. Pennsylvania is one state that has used filial responsibility laws aggressively.